Users of a website need to be made aware of what personal data is being collected and what cookies are being set when they interact with the website of that business. Remember also that if a business is collecting personal data, they may also need to be registered with the Information Commissioners Office as a data controller. For more information or help with any of the issues raised in this article please contact Jess O’Riordan of Stephens Scown LLP on 01392 210700. 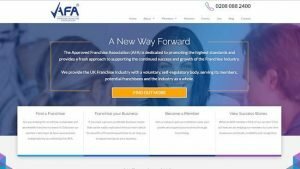 PS: Why not visit www.theafa.org.uk and find out more?